It's a tragic reality that while many accidents result in severe personal injuries, entirely too many result in utterly needless, utterly avoidable deaths. To see a life lost because of someone else's negligence...it's an excruciating thing. And yet, this is what so many families in and around South Bay have to deal with. They lose loved ones in avoidable car accidents or work site accidents. Large corporations cut corners in the name of profits and innocent people die. Our wrongful death lawyers know this isn't right. We know what you're dealing with in the aftermath of such a tragic loss. And we will help you fight for the compensation your family deserves. If you live in the South Bay, California area and need an experienced wrongful death lawyer to get the answers you deserve, please call Kirtland & Packard, LLP today at 310-536-1000 for a free consultation. We know that it can be tough to thing about anything else after the loss of your loved one, especially money. You don't want to deal with lawyers and paperwork – you want to grieve. You want to be with your family. We respect this desire, and it's completely fair. However, speaking with our wrongful death lawyers after the fatal accident is the right thing for you, your family and the memory of your loved one. Medical care in the US is not cheap. Neither are funeral services. And you're only dealing with these expenses because someone made an avoidable mistake and your loved one lost his or her life as a result. Money won't bring your loved one back, and a legal victory isn't a salve for all of your pain. But it can help with the expenses associated with the sudden loss of a loved one, and we can allow you to focus on grieving while we handle the legal matters. 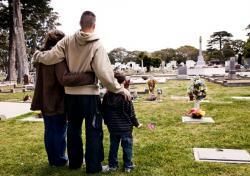 If you lost a loved one in South Bay, Torrance, Redondo Beach, or surrounding areas of California and you want to speak to a wrongful death lawyer about your case, please call Kirtland & Packard, LLP today at 310-536-1000 for a free consultation.